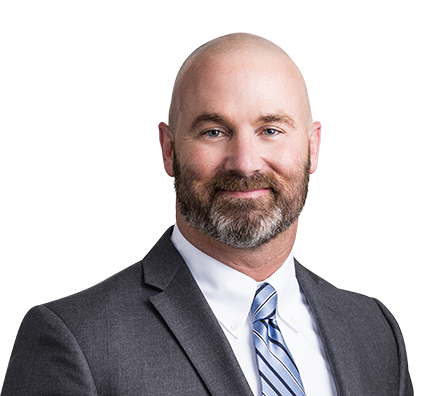 Mike primarily focuses on representing pharmacies, home health service companies, physicians and pharmaceutical companies in a range of litigation matters. Obtaining a defense verdict in an employment case when the plaintiff sued client, BJC Medical Group, alleging that she was terminated because she was disabled and/or the employer perceived her as disabled. Winning a defense verdict for a local physician after a week-long trial in a medical malpractice action and assisting in defending the verdict on appeal with the Missouri Court of Appeals. Litigating numerous pharmacy malpractice cases in state and federal courts around the country involving allegations that the pharmacy dispensed contaminated medication compounded for intrathecal use. Obtaining a summary judgment for a local hospital in an employment discrimination case and assisting in defending the judgment on appeal with the Missouri Court of Appeals. Mike’s connection to the healthcare industry began prior to his entrance into the legal field. Before law school, he was a mental health case worker for several years. Obtained one of the largest reported plaintiff verdicts in Missouri in 2013 involving a commercial dispute. After a week-long trial, the jury assessed compensatory damages of approximately $1 million and punitive damages of $12.2 million. Obtained a defense verdict in an employment case when the plaintiff sued client, BJC Medical Group, an affiliate of BJC HealthCare, alleging that she was terminated because she was disabled and/or the employer perceived her as disabled. The jury returned a defense verdict after approximately 30 minutes. BJC is one of the largest employers in the state of Missouri. Won defense verdict for a local physician after a week-long trial in a medical malpractice action in St. Charles County Circuit Court, and assisted in successfully defending the verdict on appeal with the Missouri Court of Appeals. Litigated numerous pharmacy malpractice cases in state and federal courts around the country involving allegations that the pharmacy dispensed contaminated medication compounded for intrathecal use. Obtained summary judgment for local hospital in an employment discrimination case in St. Louis County Circuit Court and assisted in defending the judgment on appeal with the Missouri Court of Appeals. Obtained summary judgment for a home health service company in a medical malpractice action in Kentucky Circuit Court. Obtained summary judgment for a Columbia, Mo., hospital in an employment discrimination case in U.S. District Court, Western District of Missouri. Won a million-dollar verdict for a client in an insurance dispute after a week-long trial in U.S. District Court, Eastern District of Missouri. Won a defense verdict for a financial services company in a contract dispute after a trial in Ohio Court of Common Pleas. Litigated a train derailment case in U.S. District Court, Eastern District of Missouri, brought on behalf of a Class I railroad against a shipper for damages suffered by the railroad as a result of a derailment, placing the railroad in a superior bargaining position to obtain a favorable settlement. Won defense verdict on behalf of a Fortune 150 company in a breach of contract action after a week-long arbitration in Minnesota. Assisted in obtaining dismissal of a case against a Fortune 150 company in U.S. District Court, Western District of Kentucky, involving allegations of tortious interference with a contract. Obtained a defense verdict after a week-long jury trial on behalf of The Kansas City Southern Railway Company in a case brought under the Federal Employers' Liability Act.